The PEN/Robert J. Dau Short Story Prize for Emerging Writers recognizes twelve emerging fiction writers each year for their debut short story published during a given calendar year in a literary magazine or cultural website and aims to support the launch of their careers as fiction writers. Each of the twelve winning writers receives a cash prize of $2,000. 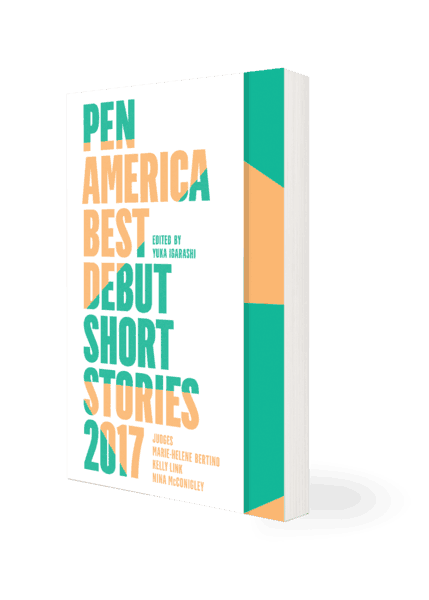 The independent book publisher Catapult will publish the twelve winning stories in an annual anthology entitled The PEN America Best Debut Short Stories. The literary magazines and websites where the stories were originally published will be acknowledged in the anthology. You may order your copy here. The winning stories collected here—selected this year by judges Marie-Helene Bertino, Kelly Link, and Nina McConigley—take place in South Carolina and in South Korea, on a farm in the eighteenth century and among the cubicles of a computer- engineering firm in the present day. They narrate age-old themes with current urgency: migration, memory, technology, language, love, ecology, identity, family. Marie-Helene Bertino is the author of the novel 2 a.m. at the Cat’s Pajamas and the story collection Safe as Houses. Awards include the O. Henry Prize, The Pushcart Prize, and The Iowa Award for Short Fiction. She is an Editor at Large for Catapult Magazine. For more information, please visit: www.mariehelenebertino.com.